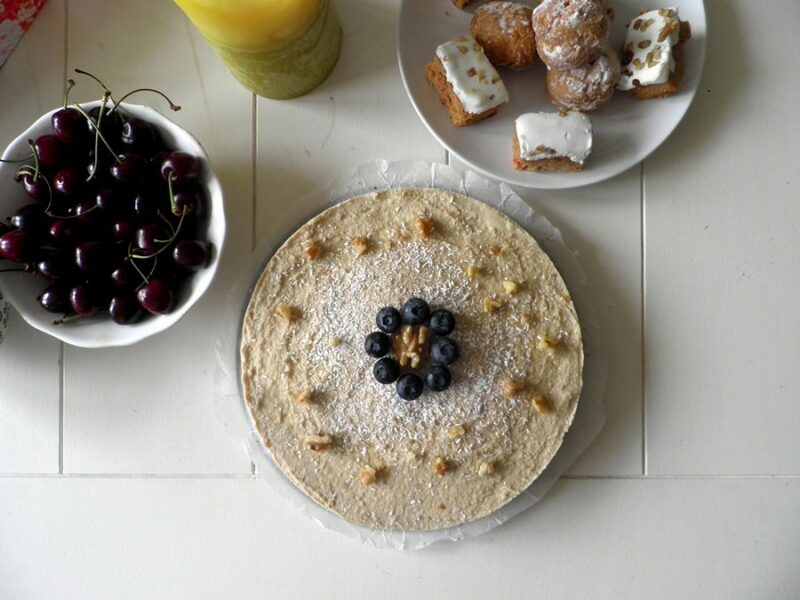 If you’re a healthy eater with a sweet tooth then this Raw Lavender Honey Cheesecake is for you. It’s vegan, gluten free, and dairy free so is sure to please even those with the most sensitive dietary requirements. Start with making the crust. Surround the inside of a cake pan with wax paper. Process the dates, almond meal, and oatmeal together until you get a rough, sticky mixture. Pat this down in the cake pan and place this in the freezer. For the cheesecake, blend all ingredients together in a food processor until it’s really smooth and creamy. Pour the mixture over the crust in the cake pan and set in the freezer for about 3-4 hours or overnight. Then take the cake out, slice it up, and enjoy!